The two sided billboard off the main drag of Radiator Springs, next to the Curios shop, gets a little spooky during "Haul-O-Ween" in Cars Land. It transforms into some punny Halloween messages, though I've always thought they could have been a touch better. 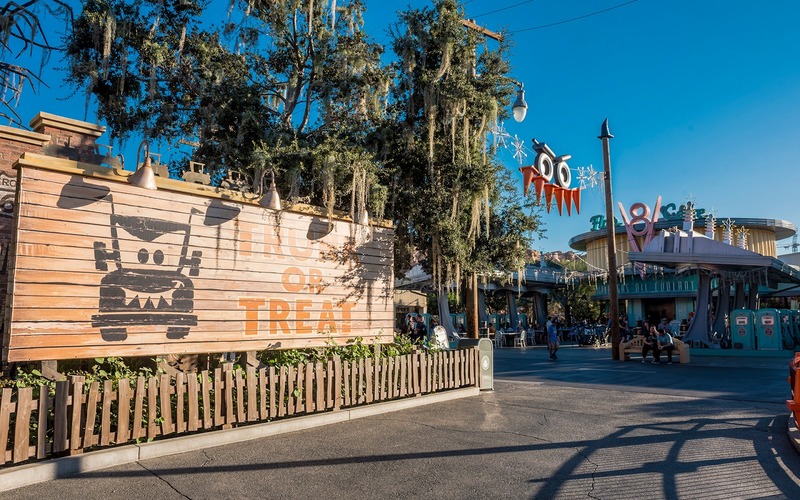 On one side, a message of "TRUNK OR TREAT" word plays off "Trick or Treat." But wouldn't it be better as just "TRUCK OR TREAT?" 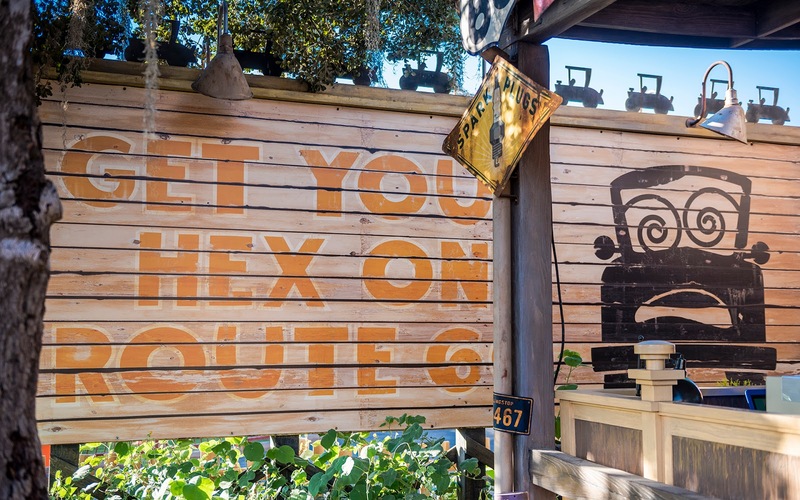 On the backside, it says "GET YOUR HEX ON ROUTE 66," adapting the lyrics of the popular song. It would be decidedly un-Disney and sacrilegious, really, but imagine if there was an extra "6" on the route? That would make the sign downright sinister. But this isn't Knott's or some independent haunted attraction. So I suppose we're good with what we have!